Here are vendor announcements #1 (October 11) and vendor announcements #2 (October 24). Here are the vendor information sheet and ﻿vendor load-in instructions﻿. Here are ﻿the vendor assignments and event map.Here is the Veg Fest info guide (printed version available at the event). Please see below for payment methods (if needed) and vendor orientations. Thank you to the businesses and organizations who will be participating in this year's Central Florida Veg Fest! If you are interested in being a sponsor or vendor at Central Florida Veg Fest, please complete the online﻿ ﻿﻿Vendor Packet (click the button below)﻿.﻿ If you have any questions after reading the vendor packet, please call Larry Rumbough at 321-331-1859. Please do not call until AFTER you have read the vendor packet. New vendors﻿ MUST contact us BEFORE registering. IMPORTANT, PLEASE READ! : Vendors who participated in Veg Fest 2017 (only!) may register without contacting the Veg Fest team first. Vendors who did not participate in Veg Fest in 2017 MUST CALL the appropriate point of contact BEFORE registering (including vendors who participated in Veg Fest in years previous to 2017 and Central Florida Earth Day vendors). Vendors who want to participate in the veggie kids zone, food court, artist corner, or animal haven should call the coordinator of those specific areas. Please visit the Contact page for details on contacting coordinators of these zones. For general inquiries and vendors who do not fit into the above mentioned categories, please contact Larry Rumbough at 321-331-1859. REGISTRATION IS CLOSED UNLESS YOU HAVE PERMISSION FROM EVENT ORGANIZERS! Deadline for applications and payments is September 30, 2018. Please complete your application as soon as possible. Certain categories of vendors have closed and will close. Late applications may be accepted if space is available.﻿ Please call (not email) to determine availability. 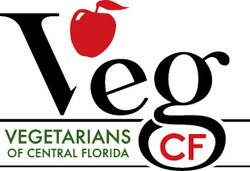 ﻿Payments may be made by credit/debit card through www.paypal.com to payment@CFVegFest.org or by check/money order to Central Florida Veg Fest*12472 Lake Underhill Road, #227*Orlando, FL 32828. Please do not make any payment until after you have registered. Vendors, especially new ones, are strongly encouraged to attend a vendor orientation. Please meet at the picnic table just north of the community garden on the right side of Festival Way. 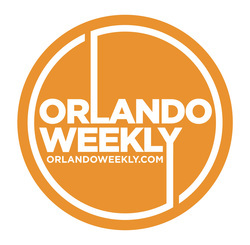 ​Thursday, October 4 at 5:00 p.m.
​Monday, October 8 at 5:00 p.m.
​Thursday, October 11 at 5:00 p.m.
Saturday, October 13 at 2:00 p.m. & 4:00 p.m.
​Monday, October 15 at 5:00 p.m.
​Thursday, October 18 at 5:00 p.m.
​Saturday, October 20 at 2:00 p.m. & 4:00 p.m.
Sunday, October 21 at 2:00 p.m. & 6:00 p.m.
​Monday, October 22 at 5:00 p.m.